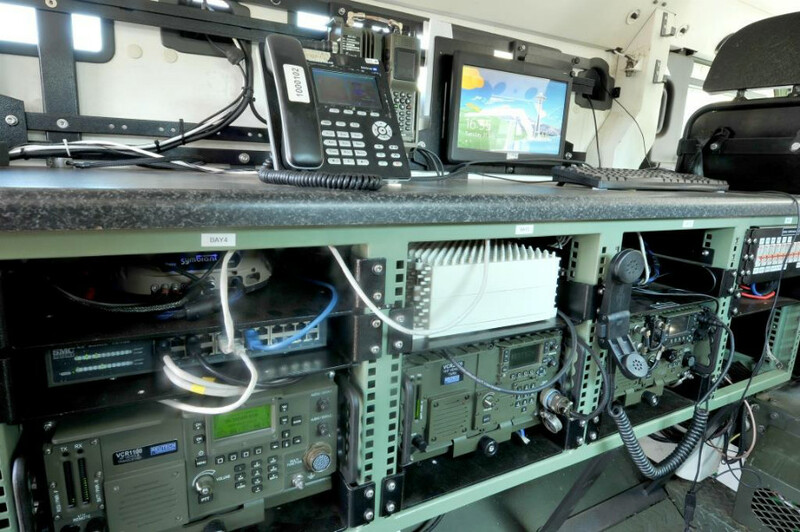 UHF communications as well as communications “On The Move” (COTM), was demonstrated by means of satellite communications between the Rear and Tactical HQs, in the form of video and audio, supplied by one of the other OEMs. 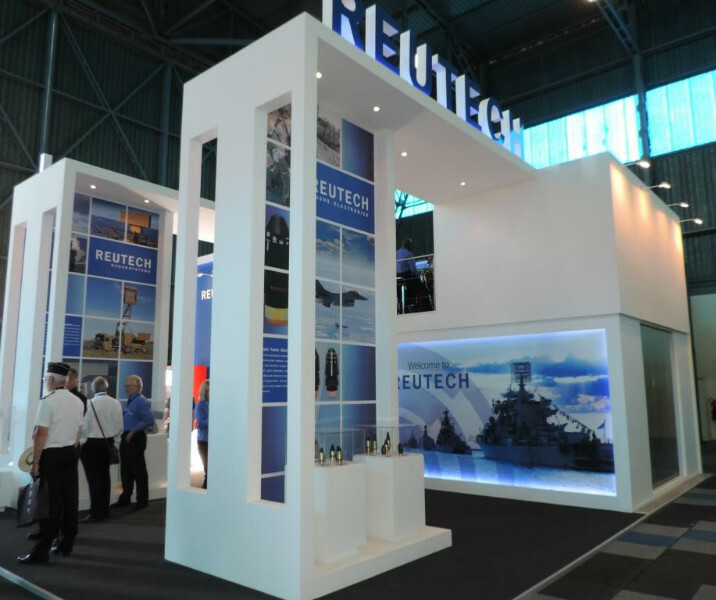 The Rear HQ was erected in a small marque situated outside Hangar 4 where the Reutech Stand was. The Tactical Headquarters was represented in the form of an OTT supplied Puma APC and the reconnaissance vehicle in the form of a commercial vehicle. Both vehicles were based outside of Waterkloof Air Force Base and were available for visitations by the military attendees. 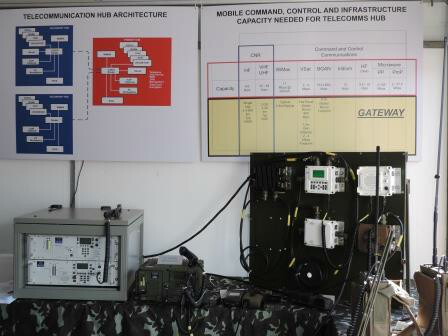 Successful demonstrations of the full range of LANDSEC equipment was done to the public and the military community in particular. 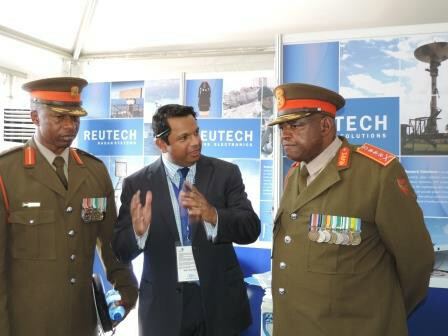 Two live demonstrations were held daily over the 5-day period and each demo was well attended by the military, including the Chief of the SA Army, Lt Gen. Masondo and other senior General Officers and Flag Officers of the different arms of service.